This long awaited new book covers the countries of Belarus, Bulgaria, Moldova, Romania, and Ukraine. The book had been fully researched by the two compilers noted above, and lists the Locomotives and Units to be found in these countries. 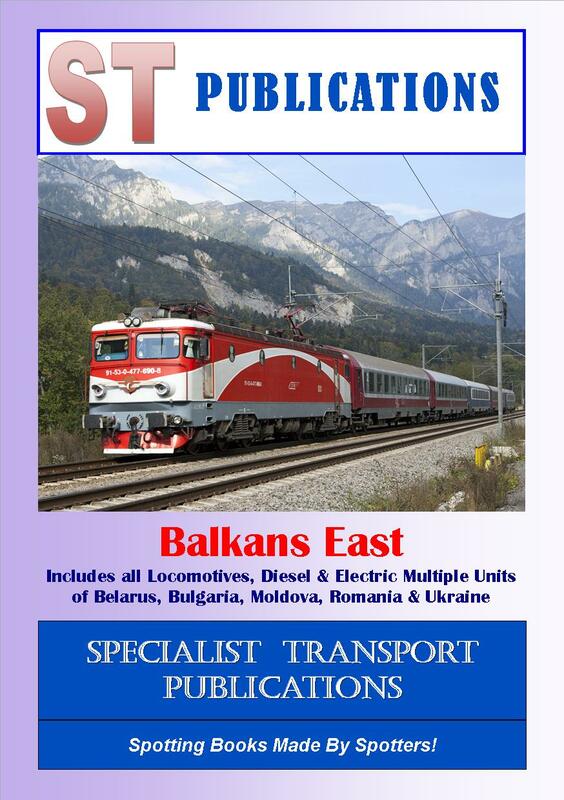 A companion book (Balkans South) will be published in due course, and this will cover the countries of Albania, Bosnia, Croatia, Greece, Kosovo, Macedonia, Montenegro, Serbia, Slovenia Turkey.